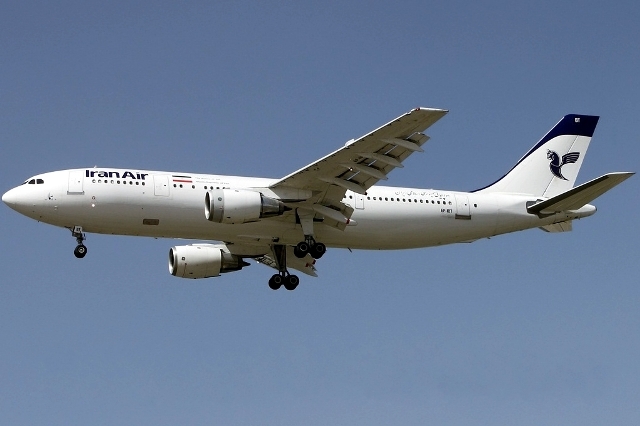 The Iranian airliner shot down looked much like this one. The shooting down of the Malaysian airliner over eastern Ukraine on Thursday, July 17th – allegedly by separatists fighting the Kiev government – killing all 295 people on board, has shocked the world, and has intensified the demands for sanctions on those responsible. But, if no sanctions materialize, it wouldn’t be the first time a civilian plane carrying hundreds of passengers was shot down by combatants – with nothing happening to those responsible. In fact, a lot of the general elements are the same. But the incident that I am reminded about is the day – back in early July 1988, when two US military missiles fired from U.S. Navy ship Vincennes hit Iran Air Flight 655, killing all 290 passengers and crew members on board. Nothing – I repeat – nothing ever happened to the U.S. because of this incident. It did go a long way in creating a deep distrust towards America by an entire generation of Iranians. But nothing happened. No sanctions. No boycotts. No United Nations condemnations. Nothing. Most Americans alive then have probably forgotten about it. In fact, when the USS Vincennes returned to its homeport, San Diego, it was welcomed with open arms, as any Navy ship returning is. The Vincennes returns to San Diego. The story of Iran Air 655 begins, like so much of the U.S.-Iran struggle, with the 1979 Islamic revolution. When Iraq invaded Iran the following year, the United States supported Iraqi leader Saddam Hussein against the two countries’ mutual Iranian enemy. The war dragged on for eight awful years, claiming perhaps a million lives. That belief, along with Iraq’s increased use of chemical weapons against Iran, led Tehran to accept a United Nations cease-fire two months later. But it also helped cement a view in Iran, still common among hard-liners in the government, that the United States is absolutely committed to the destruction of the Islamic Republic and will stop at almost nothing to accomplish this. It is, as Time’s Michael Crowley points out in an important piece, one of several reasons that Iran has a hard time believing it can trust the United States to ever stop short of its complete destruction. This is not just an issue of historical grievance: It matters in immediate geopolitical terms to the efforts by President Obama and Iranian President Hassan Rouhani to find their way to a nuclear deal and perhaps a first step toward detente. For any deal to work, both countries will have to trust that the other is sincere about its willingness to follow through on its promises. For the United States, that means trusting that Iran is really willing to give up any nuclear weapons ambitions and ramp down the program as promised (Washington has real, legitimate grounds to worry about this; Iran has its own history of misdeeds). For Iran, it means trusting that the United States will actually accept the Islamic Republic and coexist peacefully with it. The eight-year war with Iraq, which is widely seen in Iran as a war against not just Hussein but his Western backers, and the downing of Iran Air Flight 655 that came near its conclusion, have convinced many in Iran that the United States simply cannot be trusted to let Iran be. Supreme Leader Ayatollah Ali Khamenei, Rouhani’s boss, often appears to share this deep distrust. Khamenei and other hard-liners could scuttle any deal; a similar drama will likely play out in Washington. If Iran believes that the United States is so committed to its destruction that it would willingly shoot down a plane full of Iranian civilians, then Tehran has every incentive to assume we’re lying in negotiations. It also has strong incentives to try to build a nuclear weapon, or at least get close enough to deter the American invasion that it feared was coming in 1988 and perhaps again in 2002 with President George W. Bush’s “axis of evil” speech. Americans might not know about Flight 655. But Iranians surely do — they can hardly forget about it. The case went to court in the International Court of Justice (the United Nations Court). The United States and Iran agreed to a settlement “where the US recognized the aerial incident of 3 July 1988 as a terrible human tragedy and expressed deep regret over the loss of lives caused by the incident”. Additionally, the US paid $131.8 Million ($300,000 per wage earner, $150,000 per non-wage earner and approx $70 million for the plane). After the shootdown, US Aegis cruisers were fitted with civilian radios to enable direct communication with airliners. Was that sufficient? I would argue that it was not. However, I am not a Lawyer. It was substantially more then “nothing”. Thanks Christo for helping to fill in the blanks. Yes, the US did settle for money in an international court with Iran; but again, no international condemnation, no sanctions, no boycotts, nothing too critical in the US press (before blogs) – no countries talking how Bush was responsible and had to be held accountable. Okay, so both planes were shot down by “mistake”. The issue is the US’s stance on the matter, they did all you mentioned above but never apologized for what happened; they merely said that it was an unfortunate incident, they never once took formal responsibility for it. As for the article and how it supposes that the Captain/ship could have made the mistake “in the heat of battle” is absolute rubbish, 2 other US ship captains in the area did not fire on the ship as it was obvious that the ship was climbing (not descending on an attack-run) and that the transponder was making IFF squawks in mode III (identifying it as a civilian aircraft). Jon Stewart mentioned the 1988 incident in Monday night’s “The Daily Show”. So far I have not seen anything about it in any other media. To broaden the scope for your readers they might want to look up Operation Praying Mantis. This event created very high tensions between US and Iran. 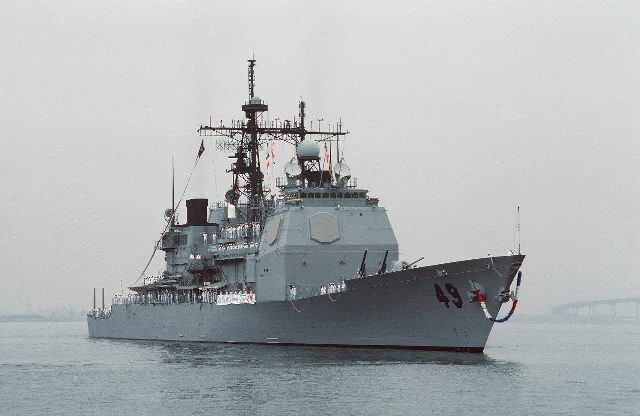 Also the Vincennes was the only Aegis ship in the Persian Gulf and Aegis technology was new at the time. BTW, I served on a Spruance Class destroyer during Operation Praying Mantis. Good write up though, I remember the day our ship docked at 32nd Street we received the news of the Airbus getting shot down. I’m not sure that I understand the point of the article. So the Russian separatists, and by extension VP, with tacit backing from Moscow, should not be condemned? That Russia and the United States are morally equivalent because the US shot down a plane 26 years ago? Or just another reason to point out the past sins of your country? It’s not the first time that Russia has been involved in shooting down a commercial airliner. Of course you’re correct TR. Spellcheck doesn’t work on headlines.